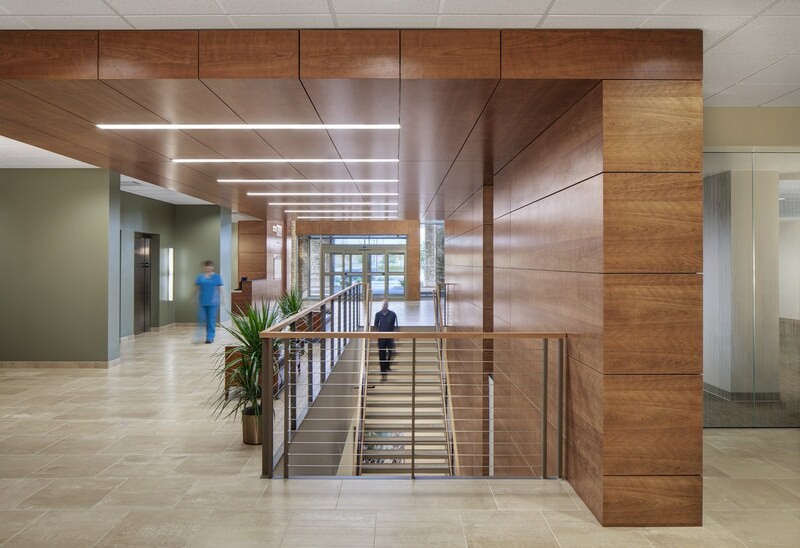 Located on a 48-acre campus adjacent to a pediatric clinic (designed by HGA for Children’s Hospital of Wisconsin in 2009), the three-story, 135,000-SF, multi-specialty Moorland Reserve Health Center aligns physicians from Froedtert & The Medical College of Wisconsin with the growing market base in Waukesha and southwestern Milwaukee Counties. 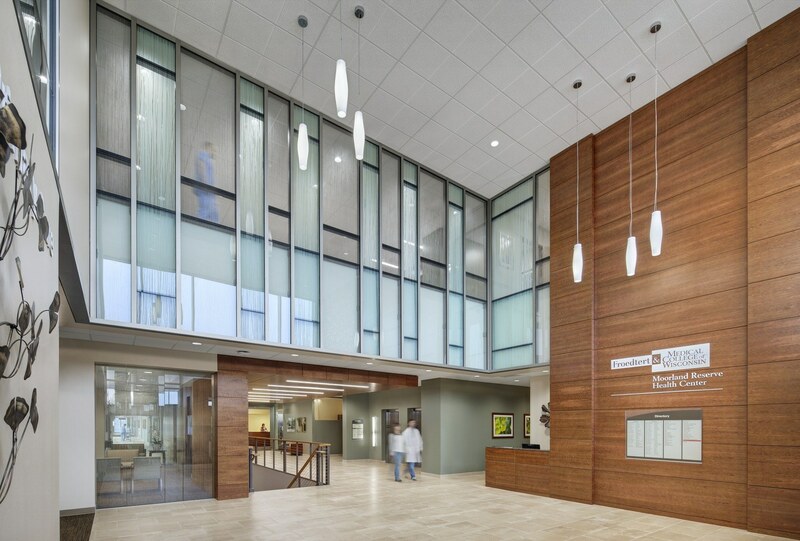 The Medical Office Building offers a range of primary, diagnostic, and surgical outpatient services. 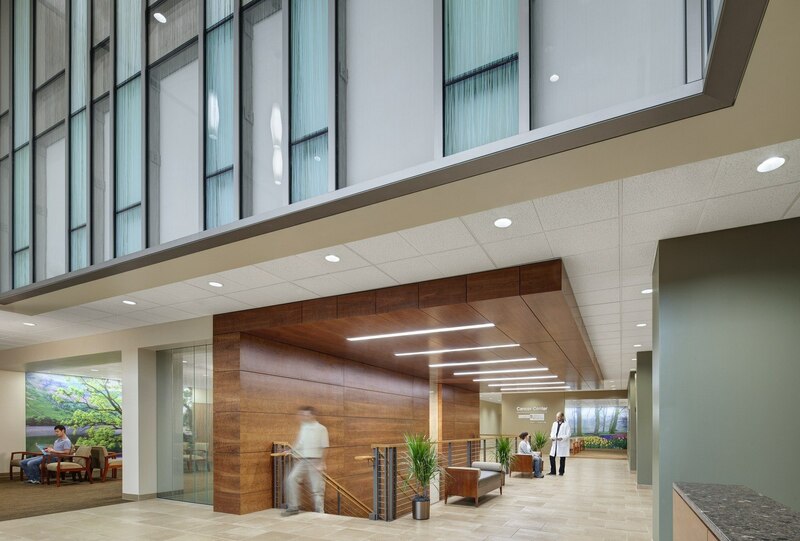 HGA streamlined clinical workflows to support the Owners’ vision for a patient-centered Medical Home model, in which a primary care provider serves as team leaders and coordinate care with specialists, nurses, medical assistants, and other professionals. 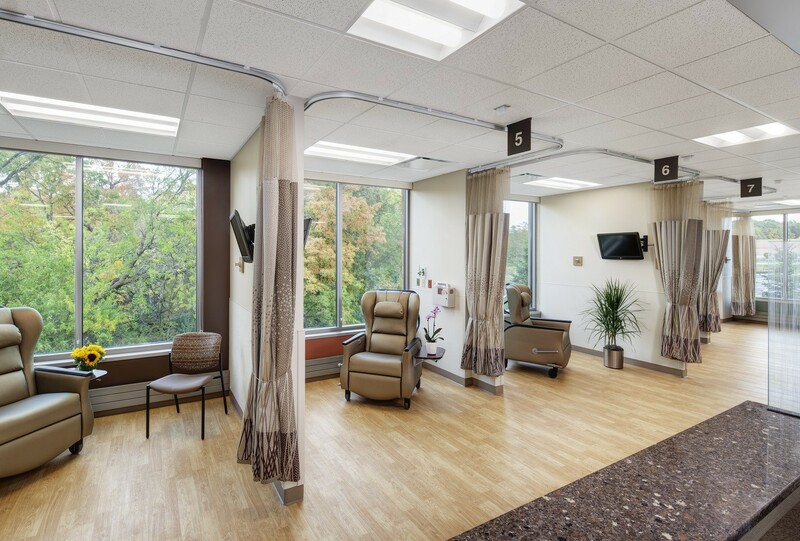 As such, decentralized work pods provide a collaborative workspace for the care team while consultative spaces and offices for nurse navigators are distributed throughout the clinical plan to support patient education.